If you wish to call us, please do so, but only during 9am and 6pm. Calls outside of these times will not be answered. 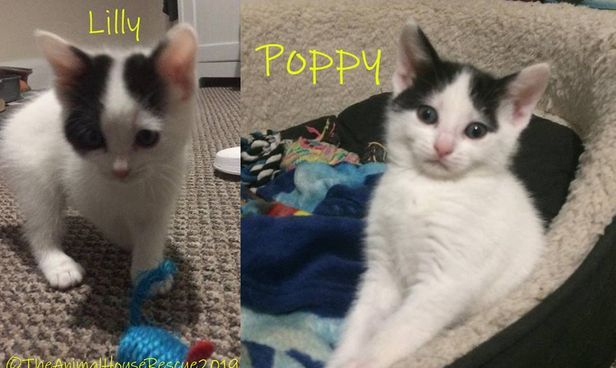 Hello peoples, we are two litter sisters that would like a home together with human slaves that will promise to luvs us furever and ever. 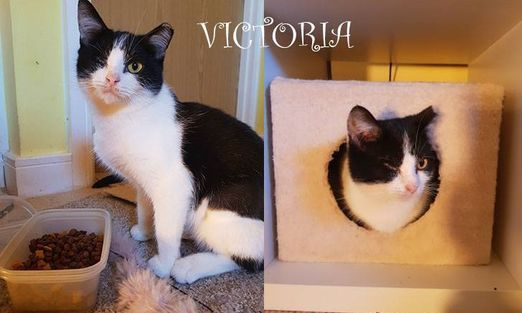 In return we will look after you, we will snuggle up for luvs when you are feeling content, we will give tickly whisker kisses and will play chase and silly games to make you laugh when you are sad and when you are bored we will keep you entertained for hours. We love our food and our sleeps in a comfy bed, but we are early birds and you will hear us paying with our toys in the morning so lots of balls, feathery toys and furry mices (not real ones ..yak). We like to play zoomies and jump out and shout BOO! Then when we are all tuckered out we will curl up and snooze the day away bit if you sit down we are back for cuddles. Hi, my name is Tudds and I am looking for my purrrrrfect furever home with pawsome people to call my own. I am a super chilled, laid back lady who loves nothing better than being snuggled and loved. I will give lots of head bumps and tickly whisker kisses. I can live with other cats if they are as sweet as me and I am ok with cat savvy dogs and sensible kids. I really love play time and like lots of toys to keep me occupied while my hooman slaves are busy and of course a comfy bed to get some beauty sleep (not that I need it, I has beautifuls in abundance!) I do like to find hidey holes to curl up in and if you come past I will jump out to say "Hellooooo!" Hi, my name is Jet and I am looking for some hooman slaves to call my own. Needs to have own house where I can relax and be waited on hand and foot. I am a lovely chilled out girl, outgoing and loving my fusses and pampering. I am ok to live with other cats and possibly a laid back cat savvy dog. A lot of people think that black cats are unlucky...hmmm where did they get that idea from? 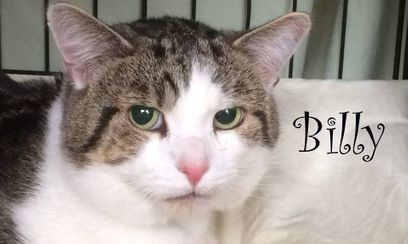 If you offer me a home I will shower you with tickly whisker loves, now thats not unlucky is it, I will be there to play and be silly and make you laugh, thats not unlucky either, I will also give you a heart full of love and contentment, how is that unlucky? Hi my name's Billy and I need a place of my own. Please take the time to read this and understand what Ted needs, he is stunning and he knows it but he does have a few special needs. 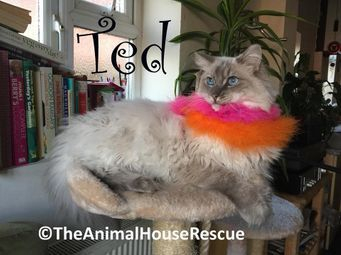 Hi I'm Ted and I need a special and understanding home as I am a bit of a stress head and need a home where I am the only pet and with no kids. I like the company of people and love being brushed but I have to have the chance to get to know you first, once I do I'm quite a cool kitty, and enjoy my fusses, although I do need my routine and I don't like change. 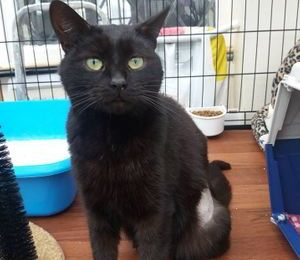 Before I came into the rescue I was only a house cat but in my foster home I have been venturing out a little way but I don't stay out long just a few minutes at a time as I worry I won't be abe to get back in. 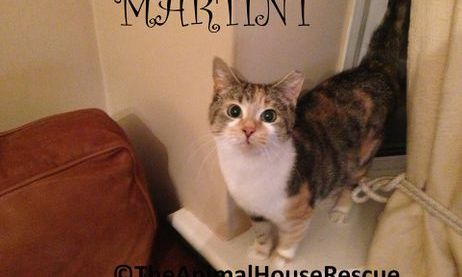 Hi guys, my name is Martini and I am a very friendly in my own space where I feel secure. 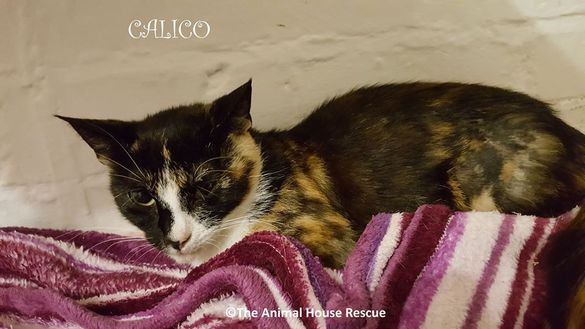 I came in and I was like a feral but I worked extra hard at not being scared and became a brave girl, of course I still get spooked easily but I'm a work in progress, I just need gentle persuasion and an understanding family that will give me a chance. I need a quiet home with someone who will work with me and at my own pace. Somethings I like somethings I don't ...between us we have to work out what all those things are, but we can do it together because I rather like human company even if its not all hands on. A couple of times I have forgotten myself and got a bit over enthusiastic and have given my foster mum a love bite when being fussed but it was an accident honest. It wasn't painful at all but if I forget myself again it might scare kids so over 12 children only. I am still very warey of strangers even though I am ok with my foster mum so I need work here too. I love to play on my own with any small toys I can throw around. I do try and get your attention but I have no miaow, I tried really hard but it just comes out as a gravelly squeak but can do a lovely chirpy sound when she wants fusses. 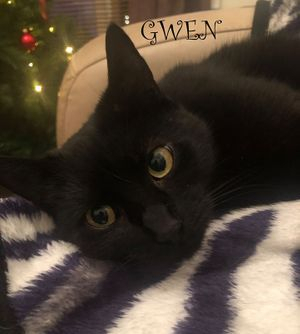 I'm Gwen, I am a very sweet girl who loves head scratches and I am also very social! I can be a bit shy when meeting new people and in new surroundings but once I feel comfortable I am Miss Personality, and spend hours curled up at the side of you and wanting attention. I love to sleep and recharge my batteries ready for play and I do get on with other cats and I will follow them as I'm also very curious and my favourite thing is exploring, there are soooo many interesting places and smells and noises to check out. I wouldn't be suitable to live with small children as I can be spooked if approached fast or unexpectedly, just let me know you are coming lol. I was rescued on 12th September 2018. I am looking for my furever home but because of the hard times I have been through, it takes me a while to trust people. I was living in a factory with my friends, but it was so hard to stay warm and get food, I was hungry all the time and I felt life would never get any better for me. I hurt my eye and that hurt too and I prayed for an angel to save me. Little did I know that there was more than one angel ready to help. I was caught and taken to the rescue GEEZE! I thought how much worse can this life get....but I was wrong. I went to see a vet and they removed my broken eye and spayed me so I coudn't have any more babies. I was warm and my belly was full. I thought this is heaven, but I still didnt trust these angels...Was it all a dream? I was really scared of my foster parents at first, but they gave me lots of treats and cuddles so I know they love me. Gradually I started to trust them. They have cats of their own.. and I like them too, we head bump all the time. Are you my knight in shinning armour? Please give me the chance I deserve for a happier future in a furever home where I am loved. Please donate to help us continue helping the many unwanted cats from our area.